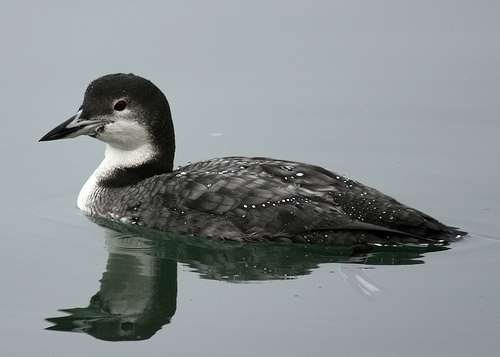 The Great Northern Loon breeds in Iceland, but visits the coasts of western Europe in winter. It is a large loon with a dagger-shaped bill. 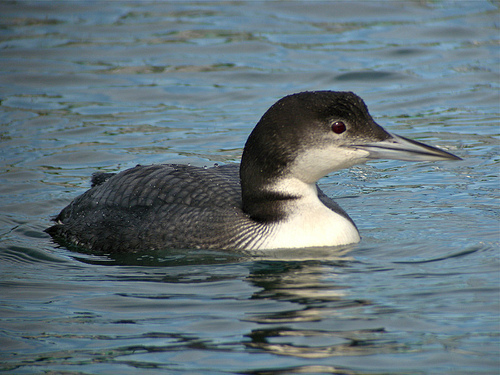 The Great Northern Loon has a black head, the head of the Black-throated Loon is grey. The Great Northern Loon has a dark bill, which of course is yellow for the Yellow-billed Loon.